Children’s Summer Party at Beaufort House Chelsea! Beaufort House Chelsea is thrilled to invite you and any little ones in your life (your children, nieces, nephews, godchildren!) to Pippa’s Poppets Children’s Summer Party on Saturday 1st September 2012 from 3.00pm to 6.00pm. There will be a whole host of activities going on throughout the afternoon including face painting, bubbles & stickers, story time, cupcakes, head, foot & hand massages and Pippa’s Poppets taster classes. All activities are suitable for babies, toddlers and children up to 5 years old. 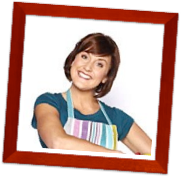 There is also a special children’s show by CBeebies presenter Katy Ashworth. Complimentary prosecco and canapés will be served to all the adults! To book please click HERE, or you can EMAIL or call Pippa on 020 7193 3920.